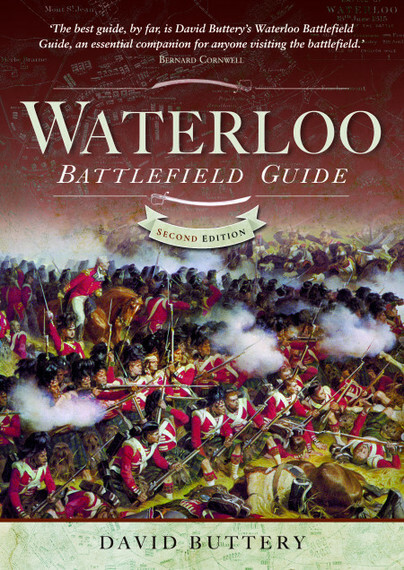 You'll be £6.80 closer to your next £10.00 credit when you purchase Waterloo Battlefield Guide. What's this? The defeat of Napoleon’s French army by the combined forces of Wellington and Blücher at Waterloo on 18 June 1815 was a turning point in world history. This was the climax of the Napoleonic Wars, and the outcome had a major influence on the shape of Europe for the next century and beyond. The battle was a milestone, and it cannot be properly understood without a detailed, on-the-ground study of the landscape in which it was fought – and that is the purpose of David Buttery’s battlefield guide. This thoroughgoing, lucid, easy-to-follow guide is a fascinating introduction for anyone who seeks to understand what happened on that momentous day, and it will be an essential companion for visitors to the battlefield in Belgium. David Buttery produced a very useful guide to the battlefield in the first edition, and this update has certainly improved upon that. It is comprehensive, concise and easily carried with you while walking the area. I guarantee that if you take this guide with you it will be well-thumbed by the time you get home. Crucially, this is a book which anyone can enjoy and become fascinated by the story of one of the most pivotal episodes in European history. David Buttery deftly weaves eyewitness testimony, factual description, anecdotes, and historical debate together to create a compelling narrative of the battle, which is supplemented by a host of helpful maps, and advice on visiting the battlefield. The result is a companion guide to Waterloo which is clear, well laid out, and exceptionally helpful for both understanding the battle, and for navigating the field itself. Do not visit Waterloo until you’ve read this book!